Thinking about holiday gifts yet? 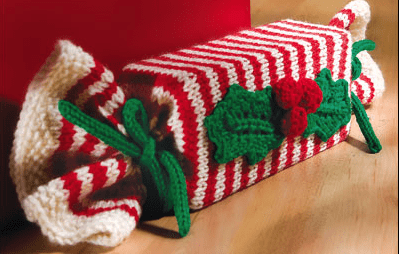 And I don’t mean the gifts you want to give, but instead the gifts knitters want to get! 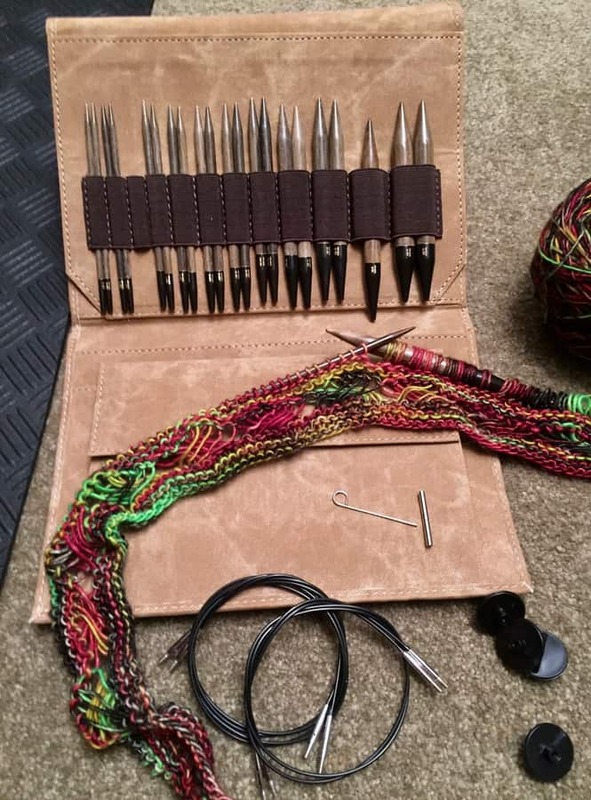 So you if know/love a knitter, here are some of the things that might make them think more highly of you for having been so thoughtful. Ball winder and swift – If you’ve been recruited to hold a skein of yarn while your knitter winds it onto a ball, this first pair of items will be very useful and appreciated. 2. LED neck light – For your loved one who enjoys knitting in rooms where there’s not enough light (like while watching a movie on television with you), this is a great idea. 3. 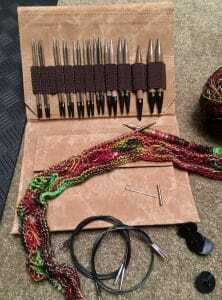 Needle Kits – Obsessive knitters can never have enough needles, and so a nice interchangeable needle kit is always welcome. 4. Notions – Similar to needles, knitters can never have enough stitch markers, measuring tapes, small scissors, point protectors, etc., etc. 5. Bags – Project bags, yarn bags, carry-all bags…you’ll probably have noticed knitters tend to collect these. 6. Needle Gauges – Knitters can rarely find these when they most need them…and there are some beautiful ones out there. 7. Digital Caliper – Better even than needle gauges and an awesome tool is a digital caliper to measure needles, yarn thickness and lots of other items you’ll find. 8. Knit Mugs – Your knitter is a coffee or tea drinker? What could be more perfect? 10. 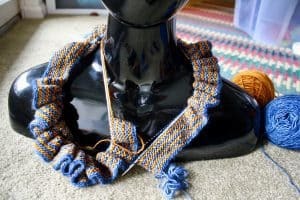 Useful Knitting Jewelry – There are a ton of custom jewelry makers who incorporate knitting tools in their pendants or designs. 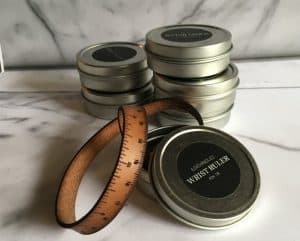 Combine jewelry and knitting tool in one thoughtful gift (like the leather Wrist Ruler below). And if you don’t like any of these ideas, you can always visit your knitters local yarn store and ask them what to get. 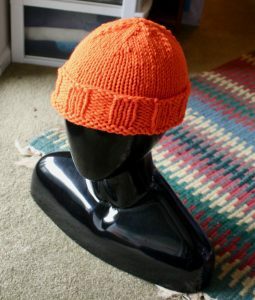 Finished the first Neon Orange Hunter’s Hat. This hat will hopefully be my amulet to ward off hunters shooting at me when I walk in the woods. Also got some rows finished on the next garter stole. 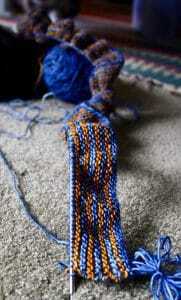 Still a lot of garter stitch needed for this project, but it’s soothing. I guess I missed the post on how the craft fair went for you, though I did enjoy the video of the set up prior to the event. I hope it went well. I’m thinking you have another before Christmas. If so, good luck and good sales! So enjoy your posts. Nice new picture. 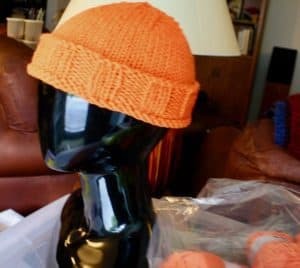 Thanks Lou…I posted about the results of the craft fair the day after the event – https://queerjoe.com/2018/10/29/overbooked-sunday/ – it was buried with a wedding I also attended that day and some long-winded blog entries make it hard to get to the end. Over all, it went well and I do have a second event coming up in a couple of weeks in Stockton, NJ. Thanks for the well-wishes. Now I need to find a sugar daddy lol! Me too! I’m “daddy” enough, but not sugary enough.